Do you need to prepare for numerical reasoning test? If yes then follow the below tutorials which will help you focus your practice to succeed in these tests. Good luck with your test preparation. 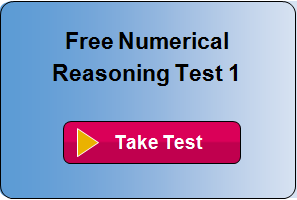 This section gives you brief introduction to numerical reasoning tests. You will learn what they are, what is the format, task and how your score is evaluated. From here you can also undertake free numerical reasoning test that mimic latest tests used by major graduate employers. This section gives you an overview of what mathematic topics you need to be familiar with and what skills you need to develop to succeed in numeracy tests. Don’t know where to start click on the above link to learn more. Tutorials in this section will introduce you to the problems of percentages that are frequently incorporated into numerical tests. It presents with simple and more advanced topics alike to demonstrate how to work out percentage questions in your test. Very useful preparation guides. This practice guide offers tailored advice on ratio and proportion questions that are frequently incorporated into numeracy tests. It offers you comprehensive overview and advice combined with practical examples to demonstrate what sort of questions you may expect and how to work them out. Are you practicing for numerical reasoning test but struggling with currency conversion questions? This step by step guide will give you all the necessary know-how you may need for exchange rate questions ranging from simple exchanges to advanced currency conversion questions. Excellent preparation guides. Many people don’t perform well because they do not take advantage of calculator that they are allowed to use during the tests. This section will briefly explain how to benefit from using a calculator at numerical reasoning test. It gives hints and tips as to what type of device to use, how to operate it and what functions or modes to become familiar with. 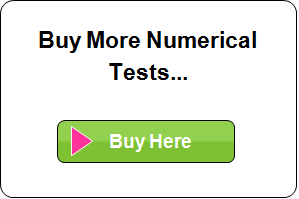 Do you lack the ability and don’t know how to pass numeracy aptitude test? Don’t worry this guide is designed to shed more light to provide with helpful advice to improve your abilities. To do well, you not only need to have good knowledge of maths but you also need to develop good mental arithmetic and problem solving skills. Shortcomings in any of these areas may significantly lower your score. Find how to improve to perform better. Even a small amount of practice can mean a big difference to your score however ensure that you prepare in the way which is effective and takes you further down the road of success. 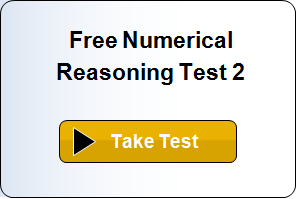 This chapter contains tutorials that show how to approach your preparation to make most of the time when you practice for graduate numerical reasoning test. It provides with invaluable advice, tips and hints to succeed.